Our train from Satna – an express train from Varanasi to LTT terminal, Mumbai - reached Jabalpur quite late - nearly 2 hours – at 08.30 in the night. The hotel had offered a free pick up from the station. But the taxi wasn’t in sight, despite a personal conversation with the travel manager of the hotel. Probably there was a goof up. We were, in fact, frustrated, waiting outside the chilly railway station and that too, after a boring rail travel. I had to give the hotel reception staff a bit of my mind in the strongest terms. To appease us, the manager offered a free breakfast to us for the next morning. Other than this goof up, the hotel, the stay there, and the food were excellent. Next morning, we had arranged a taxi to take us to Bheda Ghat Marble rocks – some 25 kilometers away from Jabalpur town - and other sightseeing places around Jabalpur. On our way, we stopped over at the ‘Balancing Rock’ and Rani Durgawati Fort. From the picture of the balancing rock you might wonder how these rocks had been balancing themselves delicately over thousands of years, as I had wondered too. 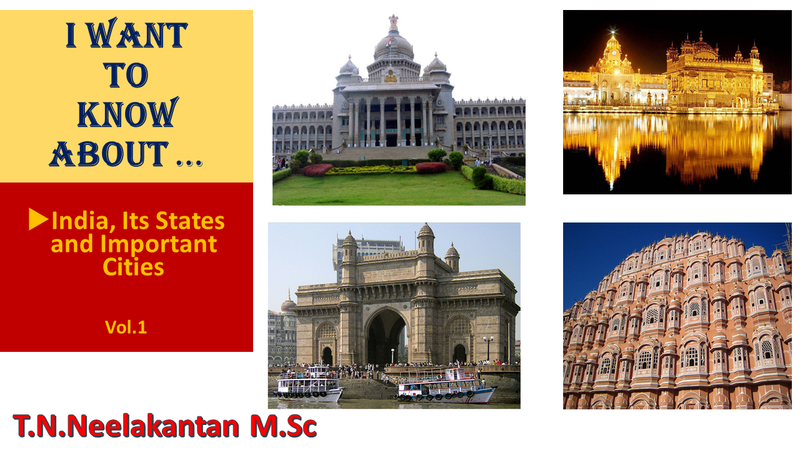 Rani Durgawati Fort is situated on a small hill, and one can view this dilapidated fort, climbing some 200 steps. In northern India, this is possibly the story in many places; several kings and queens building small forts in places not easily accessible to enemies, to protect or hide themselves from (mostly) the barbaric Islamic invaders. Or, some of them hideouts built by Islamic chieftains to protect their Hindu concubine queens from the view of others. We also went to a famous 1000-year-old Tiruparasundari temple. Bheda Ghat offers a fabulous view of Narmada River flowing between tall marble rocks, just similar to a canyon. After loitering around the viewpoints and after doing window shopping at several makeshift shops selling exquisitely carved marble statues and articles of varied sizes along the way we went for the boat ride on the river. Another remarkable experience. A small boat which can accommodate about 15 persons. The boat rower told a number of stories about the river, the rocks, the film shootings, the film stars, and what not as he rowed the boat. Some funny, some hilarious, and some not-so-serious stories. At many places, the river was quite narrow between tall rocks and was a bit scary too. The pictures on the sides will tell the beauty of the river and the marble rocks. No need to explain in word. At one place, three young lads, not even 10-12 aged, jumped from sharp rocks, some 100 meters tall, into the river to entertain the boat riders and collect money. Dare devils! The river was very deep in many places – some 80 to 100 feet deep. After visiting Bheda Ghat, we went to Bargi dam – another 40 kilometers drive. I have read about Bargi dam that it was one of the first of the chain of 38 dams built across Narmada River for irrigation and power generation. However, it turned out that other than a cruise on the waters there was nothing else to see there. When we went, only a motorized speed boat was run, and we had a 5 minutes ride in a speed boat for the first time in our life. Visitors, better avoid Bargi dam, if you want to save time. We returned back quite disappointed from Bargi dam, went straight to the 76 feet tall Lord Shiva Statue temple in Kachnar, on the outskirts of Jabalpur. A mammoth statue, indeed. We could see a lot of people visiting the temple – some devotees and many tourists. From there, we rushed to Gwarighat to watch the holy Aarti to Narmada River, which takes place at 7 at night every day. In the chilly darkness of the night, with the silhouette of the river in the background, five pundits performed the Pooja and Aarti to Narmada Devi to the meticulous chanting of Vedic mantras. Yes, in India, all rivers are considered very holy and as a form of female gods, reverently called Devis. The Aarti song always lifts up my mood, anywhere, everywhere, and anytime. So, for about thirty minutes I spent my time in some different world, forgetting all my worldly connections. 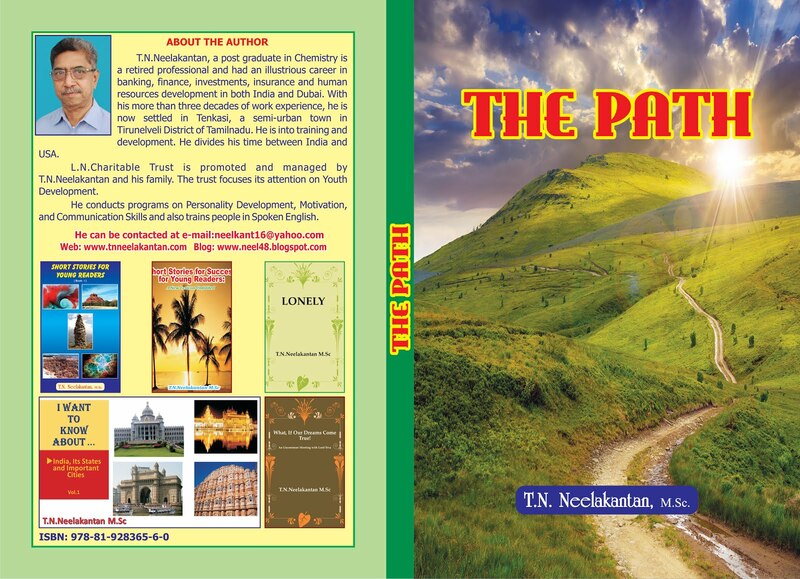 Really, a fantastic spiritual experience. A must see when one visits Jabalpur. There was quite a good crowd to watch the Aarti. In fact, they allowed a number of visitors too to perform the Aarti, holding the huge Aarti plates. We were one among the fortunate to perform this Aarti. After the Aarti got over, we were dropped off at the Jabalpur railway station to catch our 21.30 train to Ujjain. We reached Ujjain the next morning at around 08.30 am. 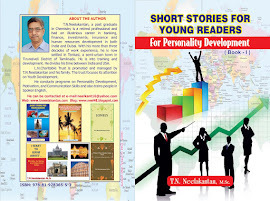 "Short Stories for Young Readers: For Personality Development- Book 1"